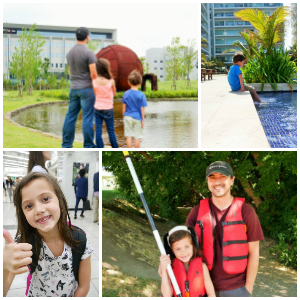 Funtopia - Fun for All Ages! When searching for fun things to do in Utah it can be hard to find something that will appeal to all ages—the zoo and other kid destinations are usually great for the kids, but have the adults asking “why did we come here again?” Not a lot of kid friendly attractions are also fun for adults. That’s why when I recently visited Funtopia I was shocked at how much fun the adults had at a place technically designed for kids. Funtopia is a one of a kind place in Utah. 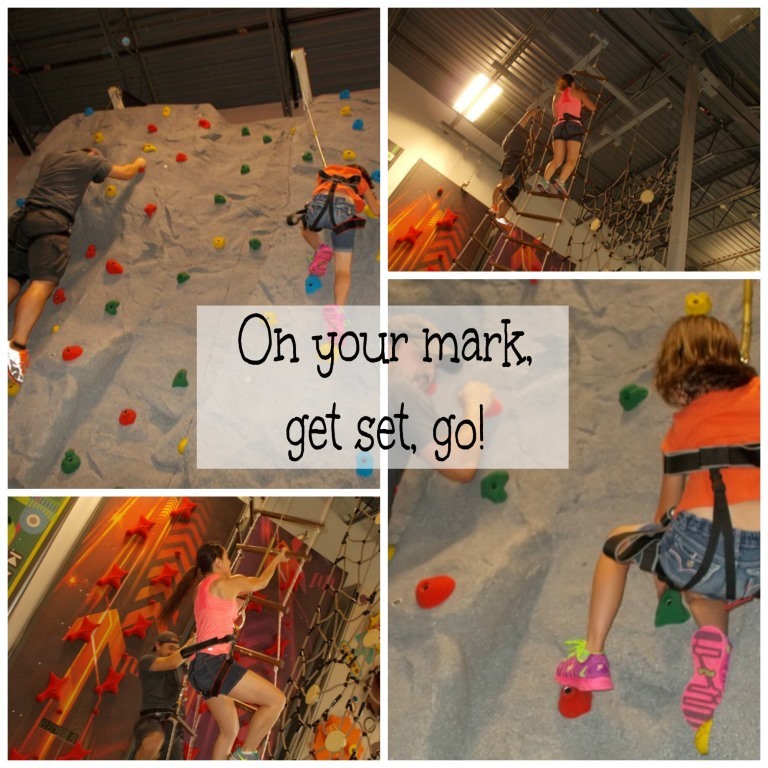 The only themed, entertainment climbing center in the area, Funtopia boasts 26 amazing individual climbing elements that test kids' abilities to get to the top. 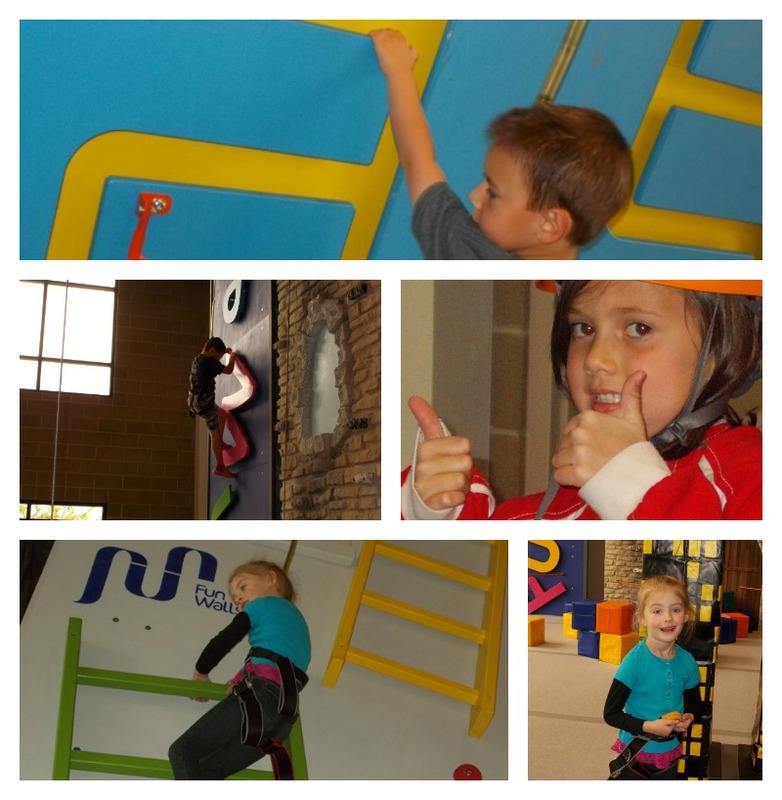 Instead of traditional climbing walls like most rock climbing places, kids are able to climb a dinosaur, a castle, FUN letters, walk on top of skyscrapers and more! Funtopia also has two premium elements that will put butterflies in your stomach, a 23-foot tall parabolic slide will be sure to give your kids a laugh and guarantee a smile! Then they can run over to the Jump in the air tower and jump of the tower to the punching bag or trapeze bar. 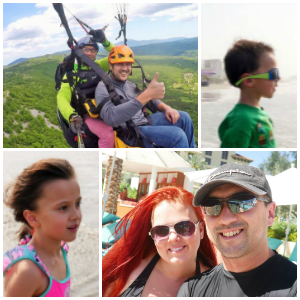 When you walk through the doors and see all of the amazing walls you will have no doubt in your mind that the kids will have fun, but if you are an adventurous parent you can have a blast too! The 23-foot tall parabolic slide was definitely a favorite, there is a huge rush while you are holding onto that little bar and it keeps lifting you up higher and higher. The kids would let go pretty early, but the adults in our party decided to see who could go all the way to the top and not chicken out. It was hilarious to watch and a burst of fun for those who did it. As a group activity nothing beats Funtopia, you can race each other to the top of the walls, see who can get to the top of the ropes first and so much more. Our main purpose for visiting Funtopia was to celebrate my little boys 5th birthday, he wanted a Minecraft party and they had a great large party room all ready for us. We were able to fit all the kids and adults at the two tables in the room and they had a large counter space for all the food and thank goodness a fridge and freezer since we brought a bunch of ice cream that had almost melted on the drive over. I didn’t go all out on decorations because I knew what the kids really wanted (climbing) but you could definitely really decorate the room up if you wanted to. You can also take it easy and let Funtopia take care of it for you! Included in a room rental you will get plates, cups, napkins, utensils, and table cloth. If you are looking to for somewhere to hold a party you are in luck! Funtopia just lowered their birthday room prices and you can check them out here! :: 2 Hour Party! Which includes 90 minutes of climbing, and 30 minutes in the party room. :: Each child gets unlimited slides and jumps! :: Birthday child gets an awesome Funtopia t-shirt! One thing that really impressed me on our visit was how incredibly helpful and nice the Funtopia staff was. They were very attentive to make sure every kid was ok and helped them with their harnesses. My little boy isn’t necessarily very outgoing or adventurous, but he felt so safe at Funtopia and really came out of his shell. He climbed to the top of several of the walls without any issues and he loved it! It was so exciting to see him do something he would normally cry or get scared about. If you have a child that is a little more fearful I would highly recommend Funtopia for helping them overcome their fears. 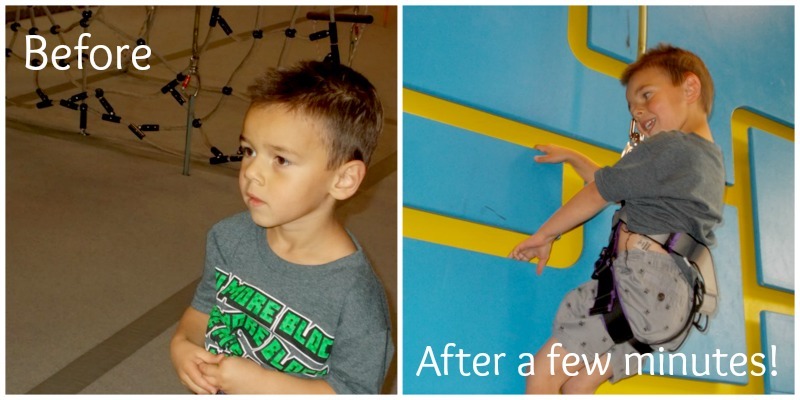 Technically they recommend that children should be over 4 so their weight will pull them back down if needed, but they set it up so the really little kids in our party could have some climbing fun too! So if you are looking for an amazing place that is a blast for the whole family be sure to check out Funopia! There’s nowhere else like it in Utah!